As a Nutritionist, I do enjoy a balanced and varied diet containing nutrient rich foods. However, please be reassured that the goal is progress not perfection and I do enjoy the odd glass of wine or two here and there, and chocolate now and again. Living like a saint is neither practical nor enjoyable or sustainable for the majority of people. I ate and drunk with impunity. It appeared that I had a good metabolism and regardless of what I consumed, my weight hovered around 59/60 kilos with a 28″ waist. Life was good, I was not concerned about nor thought about the quality of my diet. I had no idea in my 20’s that the good times could not last forever nor that what I was eating could be affecting my general health. Looking back, I now understand that when choosing foods to eat I tended to go for the sugary and refined carbohydrate based foods – those generally high in calories and sugar but low in nutrients. During my early 30’s my weight gradually began to increase. In just a few years I had gone from a svelte 60 kilos to a slightly less healthy 75 kilos – but like many people I just put the weight gain down to just ‘getting older’ and was led to believe that this weight gain was ‘unavoidable’. I developed a keen interest in nutrition and weight management around this time, and started to take my diet far more seriously, but the weight kept gradually creeping up and the waistline slowly grew, inch by inch – sound familiar? A few years ago, something completely unexpected and completely out of the blue was to change my life forever, and in more ways than one. I then began to appreciate on a deeper level just how precious life is, and indeed how important health is. We returned from holiday, and with a heavy heart I began to deal with the ‘administrative’ side of my father’s death. In so doing, I decided to have my cholesterol, blood glucose and blood pressure levels checked as my weight had increased to over 85kg and my waistline to 36″. I recall sitting with my Doctor in anticipation of the results of the test, fully expecting them to be within normal levels – after all, aside from putting on a bit of ‘inevitable’ 30’s weight, I actually felt healthy. My cholesterol levels were high – as was my blood pressure and my blood glucose levels. In fact, my Doctor put me on medication straight away. None the wiser I took the medication as advised (although even at that time I wanted to understand how to control my cholesterol, blood glucose and blood pressure ‘naturally’, without the need for medication – as I did not and still do not believe medication to be good in the medium to long term), and decided to take my passive interest in health and nutrition far more seriously. I decided to eat better, exercise more and take control of my health, and turn this ‘inevitability’ – of getting unhealthier and gaining weight as I got older – around completely. So, being significantly overweight, with a 36″ waist and being technically obese I started to study health and nutrition on a semi-professional basis (I still had a ‘day job’ at that time), but very quickly it became apparent that I had indeed found my ‘vocation’, my purpose in life. By losing 15 kilos in weight and 6 inches off of my waistline, not only was I becoming healthier and likely mitigating risks associated with obesity, but people around started to notice too and I began to offer them advice on diet, nutrition and wellbeing. And so my career direction took a new path – from the tragedy of losing my father, I changed my life for the better, and in changing my life for the better, I have now had the privilege of changing the lives of friends, family and clients around me too. I had found a new career path – completely unexpectedly and born out of personal loss. However this new path has proven to be far more rewarding than I could have ever imagined, and being able to help others to improve their health is incredibly humanising. I now am fortunate to be able to end each working day achieving something meaningful and changing the lives of the people around me. Understanding how food choices we make can affect our body systems and how these choices impact different nutritional imbalances in the body is incredibly powerful. I take pleasure in seeing the improvements friends, family and clients make through a few simple changes – affirming that I have indeed found the career for me. I discovered how to improve my own health and made the connection that all those food choices I made in my 20’s had impacted on my health. And now I get to share all of my knowledge with others to improve their health, what a fantastic job I have! I take my responsibility of being a Nutritionist very seriously, together with the responsibility to educate, coach and support my clients. I continue to develop my nutritional knowledge and appreciate that this is a never-ending process. I can help you on your journey to better health too, helping you to understand how a few changes, coupled to your own personal nutritional needs, can improve your health and wellbeing. Remember: ‘Progress Not Perfection” – I can help you to reach your goals through a healthy, balanced diet and show you how to sustain these new habits for the rest of your life whilst at the same time not depriving yourself of the odd treat…after all you are only human! My goal is to become the best Nutrition and Weight Management Consultant that I can possibly be, and in so doing becoming a Key Person of Influence in my field – the ‘go to’ person for health, nutrition and well-being. Oh yes, and I plan to become an author soon – so keep an eye out for my book! I am committed to keeping my knowledge and research up to date and regularly attend seminars, webinars and read articles as part of my Continued Professional Development. Listen in live every Monday morning from 11am to midday on www.channelradio.co.uk – or listen to previous shows on catch up here. 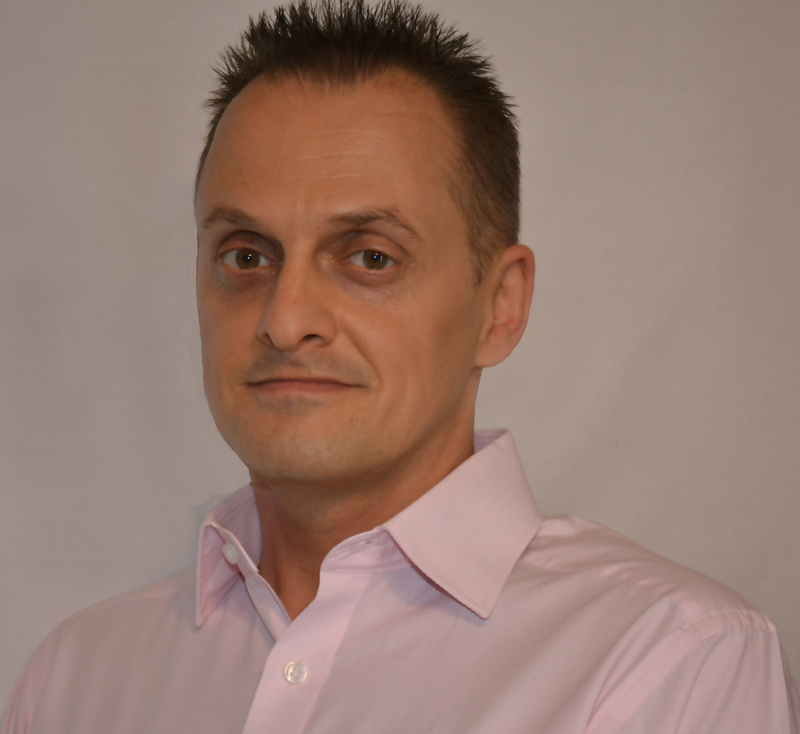 I am creator and host of the weekly ‘Health Matters’ show on Channel Radio. The show is dedicated to keeping you informed and updated as to simple and effective ways to improve your health and the health of those around you (including family members and employees). I share my expertise and experience to help you to find ways to become a healthier ‘you’. Joining me for each show there will be a special guest. I am a #1 ranked global author too! 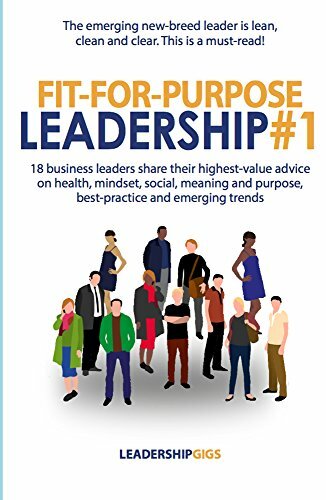 In August 2017, I had the privilege in contributing, with some other thought-leaders in their respective fields, to a great book called ‘Fit For Purpose Leadership”. The book ranked #1 on Amazon in 3 categories and has sold globally since. In the book,18 high achievers share their current best thinking on corporate wellness and wellbeing: health, mindset, social, meaning and purpose, best-practice and emerging trends. And what it takes to be fit-for-purpose. To pick up your copy, please click on one of the ‘Buy Now’ links.